Neck Deep have come a very long way since I first heard of them while perusing through Facebook 5 years ago. They hadn’t played their first show yet, and only had 3 songs recorded at that time. Now, they have landed their first top 10 album with their 3rd full length, The Peace and the Panic. The band went through quite a bit over the last couple of years. A slight lineup change, family members passing away, and the current political climate really show through on this record. It’s extremely relatable and it shows a much more mature side from Neck Deep that we haven’t had the opportunity to see before. The album starts out with my favourite track, “Motion Sickness”, a certified banger that’s catchy as hell, and slides right into politically charged “Happy Judgement Day.” It always brings a smile to my face when a pop punk band reaches for more topics than just relationship struggles, and that truly shows on this record. 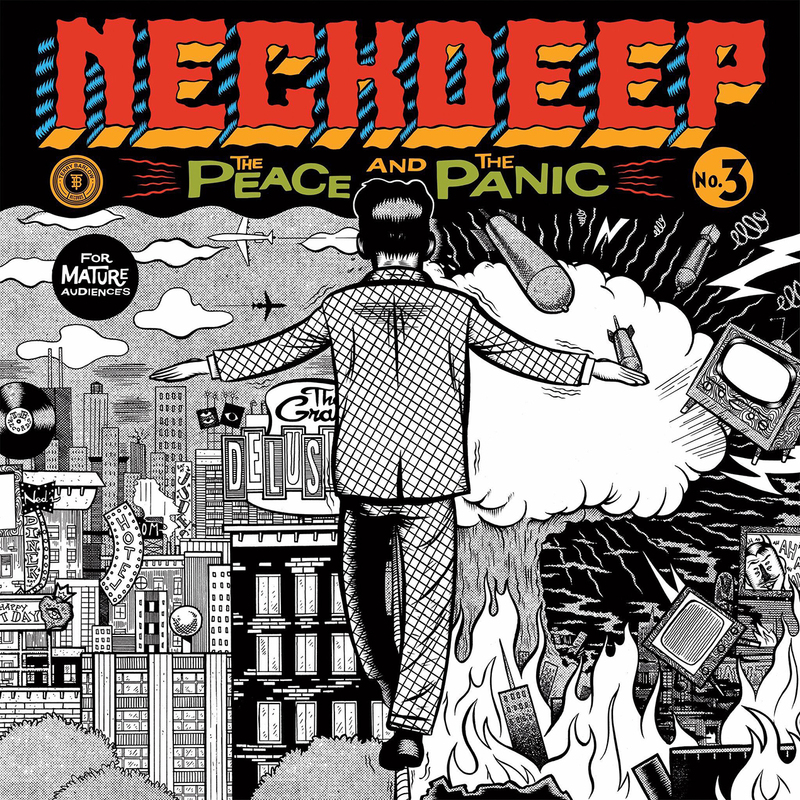 Neck Deep explored a lot of new sounds on this record, especially “Critical Mistake” – an alt rock/pop track that could be played 100 times over on any major radio station. Although they have experienced with screaming vocals on songs before (see: “Gold Steps”), none have quite been like Sam Carter of Architects guest vocals on “Don’t Wait” – surprising, haunting, and melodic all at the same time. It fit, it was unexpected, and I was so into it. All in all, The Peace and the Panic is a major contender for my top 3 releases of the year so far. I’m extremely proud of the work that the Welsh quintet have put into this record, and I can’t wait to see them continue on their rise to the top of the scene.